In this episode, our hosts get a chance to talk about a new take on hanging from the trees – not a hammock, but not a tent. 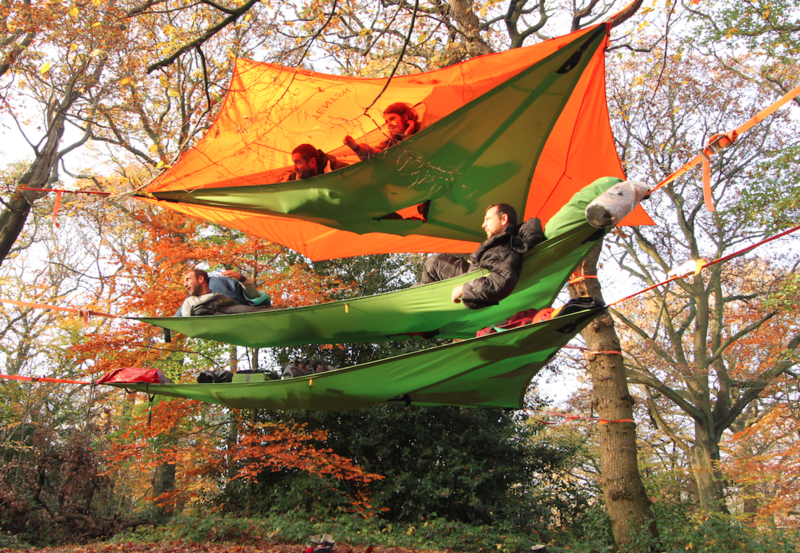 Alex Shirley-Smith from Tentsile shares with us his experiences in designing tents as portable tree houses. With a love of trees in his youth that was inspired by the Ewok Villages of Star Wars VI and a desire for preservation, Alex began a career architecting treehouses. Since then, he’s moved on to portable tree houses – tents under tension, straddling three trees. We talk about the solution and how it might bring the social benefits of tenting to the physical benefits of hanging, along with the obvious value of cupholders in a tent. Finally, Alex shares his concerns about the environment, and how his company is actively trying to plant new forests to offset the destruction of trees around the world. Mark and Jonathan also discuss the challenges of getting a comfortable, flat lay in a traditional hammock, and have some tips on how to hang at an angle, and how to get that perfect pitch, even for a side sleeper. 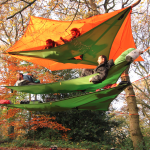 Acknowledgements go this month to our episode sponsors – Dutchware Gear, specializing in hammock camping accessories. Check out their updated website at https://www.dutchwaregear.com, which now includes products from http://www.makeyourgear.com. Finally thanks to Yukon Outfitters, a Tennessee-based manufacturer of hammock camping gear and a line of outdoors-related products. Listen to the episode for a 15% off coupon code to use at https://www.yukon-outfitters.com! As always, we are also inviting comments and suggestions on our Facebook page – like us there at http://www.facebook.com/hyohpodcast and join the conversation. You can listen to or subscribe to the podcast from a link on our home page online at https://www.hyohpodcast.com or give us a review on our page in iTunes. If you’d like to buy Mark and Jonathan a cup of coffee, go to https://www.hyohpodcast.com/donate to make a one-time donation. As always, thanks so much for hanging around! Buy the guys a coffee! © 2019 HYOH Podcast. All rights reserved.